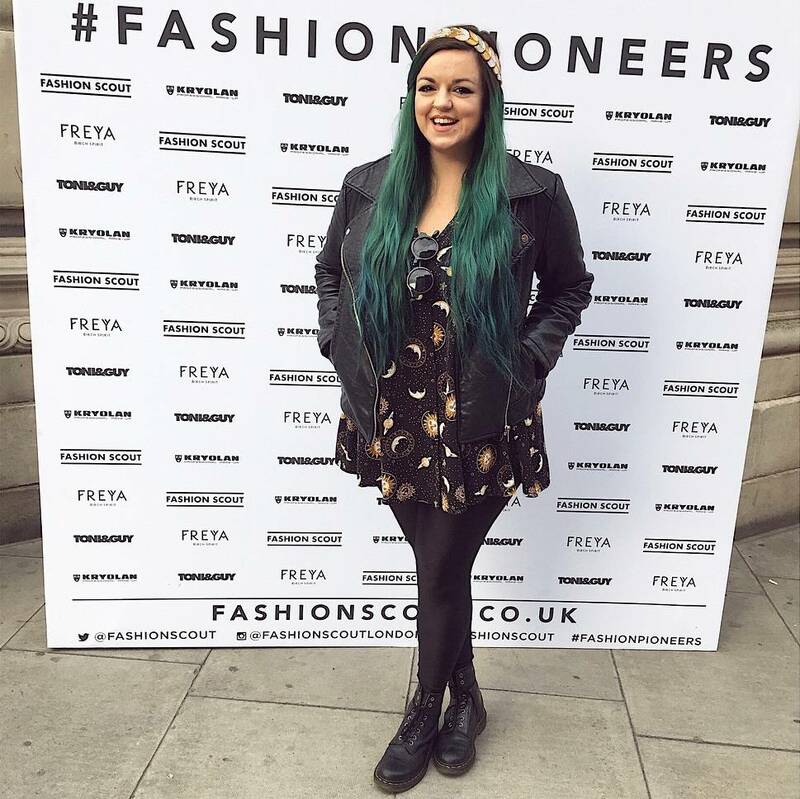 I’ve never been someone that closely follows fashion, and I’m not naturally savvy with what is and isn’t stylish (pretty sure I’ve never been described as “fashionable” by anyone) however after attending numerous catwalk shows at both seasons of London Fashion Week this year (thanks to Fashion Scout), I feel like I am more knowledgeable of what is and isn’t ‘fashionable’, and I certainly feel more inspired to browse sites for “on trend” outfits. This summer I’ve fallen head over heels for some of Motel Rocks’ lightweight cotton dresses – my two favourite dresses have the same print, but different cuts. 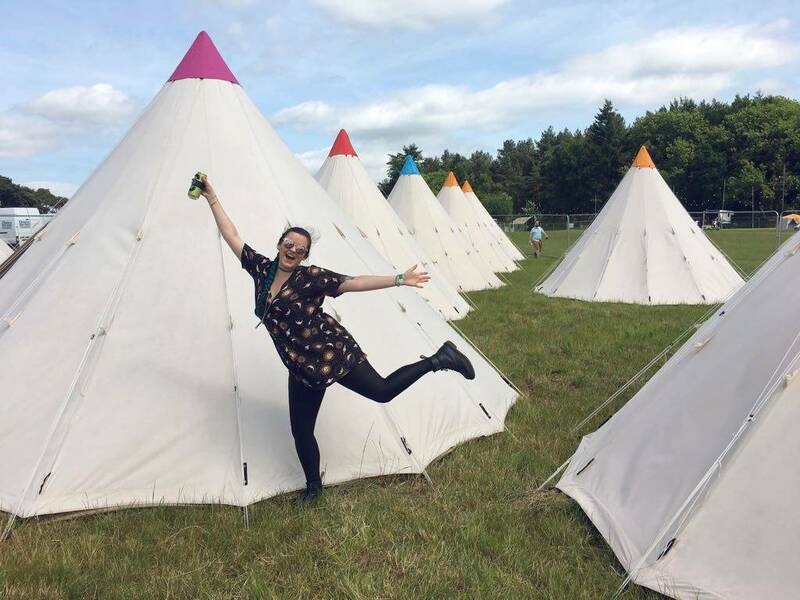 I’m adamant I’ll keep wearing them throughout the autumn… They are both a black base with a solar system pattern in golden/yellow tones, and I’ve been alternating pretty much consistently all summer to work and festivals. You’ll probably recognise the Crosena Swing Dress in Solar System Black in particular from numerous posts on my Instagram (including in the picture above at Camp Wildfire): at London Fashion Week and Hackney Downs Vegan Market. The other, in the picture below is the Lura Slip Dress in Solar System Black, which is currently in the sale! The camo print jacket I am wearing below is from ASOS, but since these photos were taken it’s gotten a whole lot colder in London and this jacket isn’t always suitable. I refuse to give up on these lovely printed Motel Rocks dresses just yet. I live in dresses (I don’t even own any trousers! ), I just need to style them in a way that is a a little more autumn friendly. As with every year when autumn rolls around, I start seeing the most fabulous faux fur coats and jackets around town. I’ve never owned one but I have lusted after many. This year I’m more determined than ever to find a lovely faux fur coat that is cosy, but will also flatter my body shape… Easier said than done! 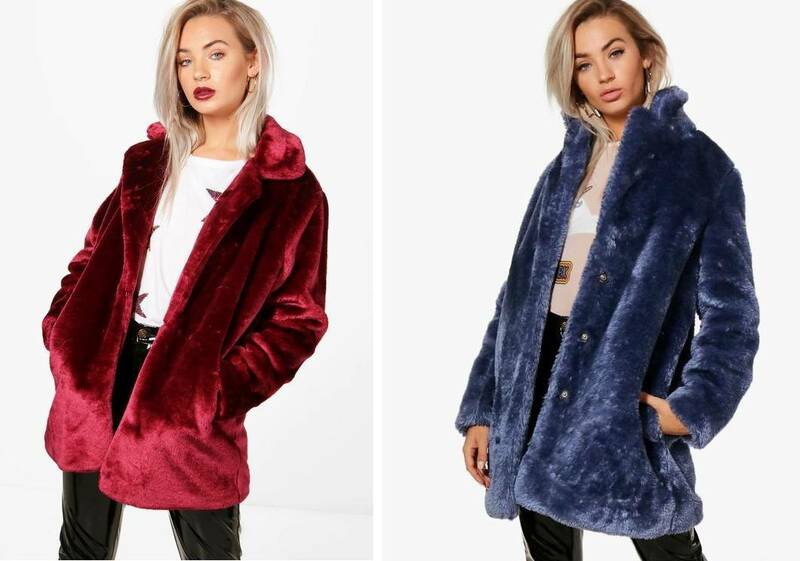 I’ve been having a browse on Lyst to find the *perfect* jacket and came across two coats from boohoo, the Holly Collared Faux Fur Coat and the Rebecca Collared Fur Coat, both pictures below. I absolutely love the look of them – they both look toasty and just the right amount of fluffy. The colour of the red one is so rich and autumnal too, I love the depth it has. Layering is SO important to me as autumn and winter come around, gotta keep that warmth in and I prefer it to simply wearing fewer, but thicker, items. 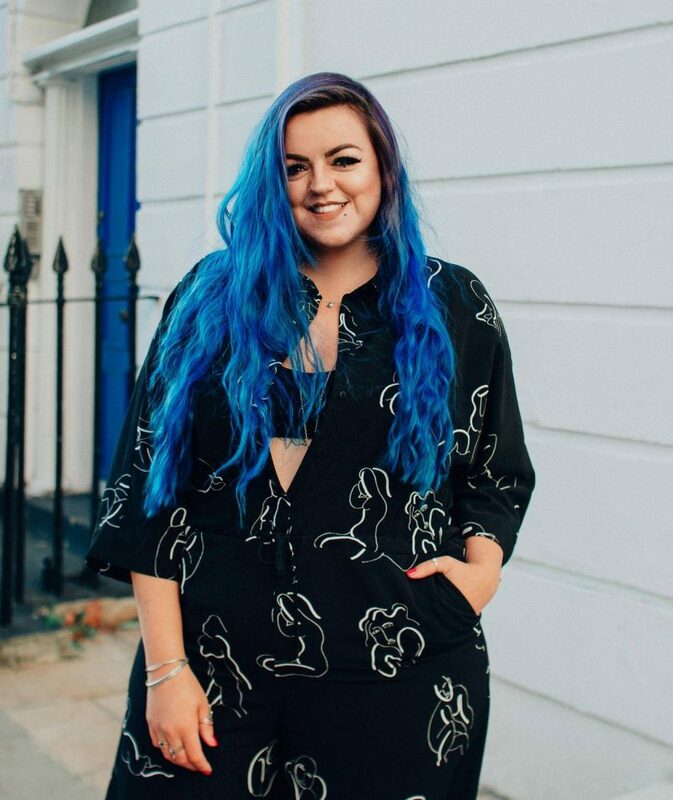 Vest tops are so handy as an extra layer if you want to be discreet with the layering, but adding a longer sleeved top can add a grunge edge to an otherwise lightweight and summer-y dress, and of course, keep you nice and warm! I find high street retailers the best for basic items like this, H&M in particular. I’m also a sucker for a good pair of leggings. I’ve pretty much lived in a few alternating pairs of high-waist American Apparel Lycra leggings the past few years. However I am heartbroken to say that they’re no longer available to buy online and ship to the UK (but you can get them sent to a US address through the US store here). If anyone has any alternative suggestions I can get easier in the UK, please tweet me or let me know in the comments, because I’m dying for these to be replaced (the knees on mine are starting to lose their elasticity)! To save the knees on my faves, I’ve recently been wearing my Black Milk Clothing Matte Pocket Leggings. They’re not high-waisted like the American Apparel ones are, but they’re comfier than usual leggings with elastic waistbands which sometimes feel like they’re cutting me in half! Also super handy that they have pockets which you can fit a phone in, or cars/change… Seriously! Leggings. With. Pockets… Magical. My absolute staples and final addition to make a lightweight Motel summer dress autumn friendly, are my trusty pair Vegan Leather Dr. Martens. I have the Vegan 1460 Felix Rub Off which I purchased in September last year and they have done me so well ever since. They’ve survived the entire summer during festival season and now, as the weather gets colder, they continue to be worn almost daily, because they always keep my toes toasty and dry. Check out the full range of cotton printed dresses available at Motel Rocks on their website. Scarves! I’ve got loads this autumn! And jumpers to wear over dresses to give them a totally new look! 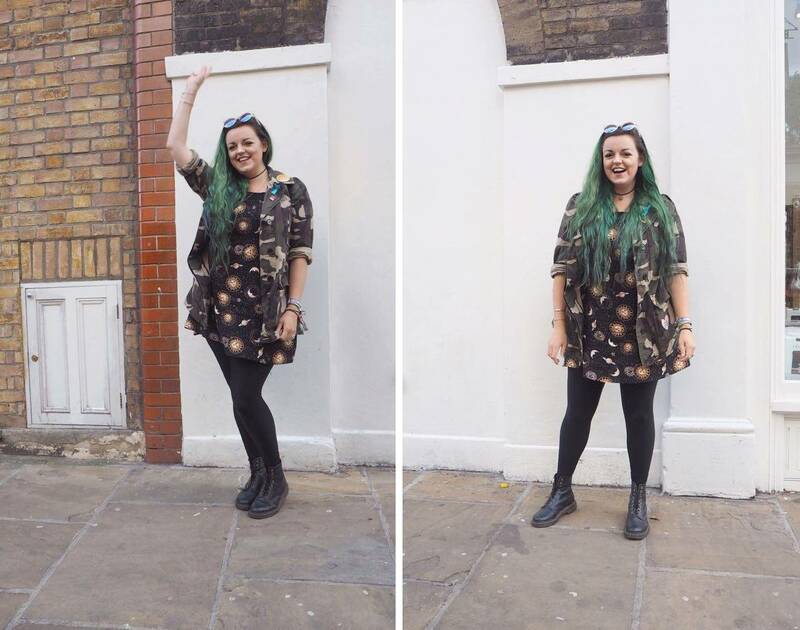 Love the blog post and of course as you know you influenced me to buy the motel rocks dress!